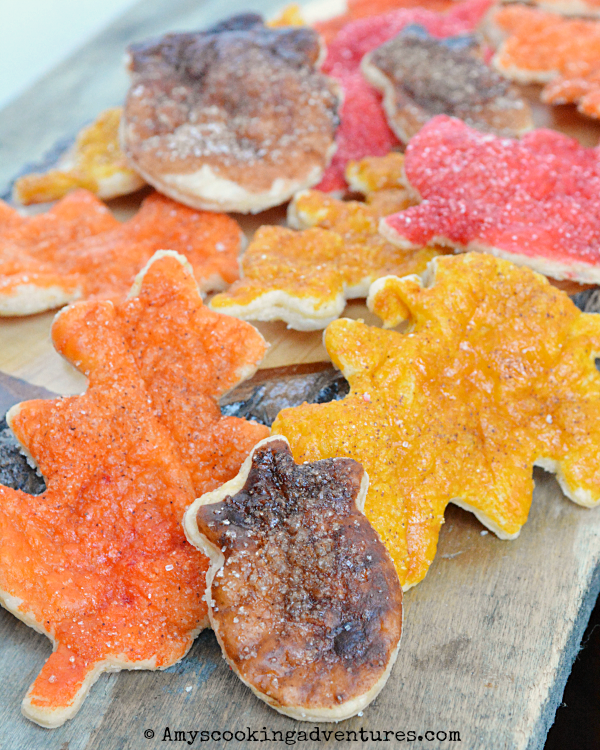 I’m jumping in just quickly tonight with an easy peasy Thanksgiving cookie recipe! All this recipe takes is pie crust dough and some cinnamon-sugar. You can totally buy both premade. Or you can double your dough recipe when making pumpkin pie and use the excess for these cookies. Either way will totally work. I’ve made these lovelies before, but this time I’m bringing color to the world! When I made my Fall Leaf Apple Pie, I painstakingly dyed the dough. This time around, I wondered if there was a better way? And indeed there was! Here’s what you do. Roll out the pie crust and cut it into leaf shapes (or whatever). Mix some gel food coloring with milk and paint it on the uncooked dough. Sprinkle with cinnamon-sugar. Bake. Easy peasy. Stunning. Done! 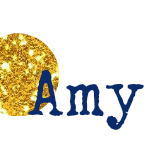 Or and super delicious and highly recommended! Preheat oven to 350 degrees F and line a baking sheet with parchment or silicon baking mats. Roll the pie crust thin and cut it into leaf shapes. Mix gel food coloring with milk (about 1 teaspoon per color) and paint it on the uncooked dough. Sprinkle with cinnamon-sugar. Bake in the preheated oven for 12 minutes or until crisp. Cool slightly before eating. 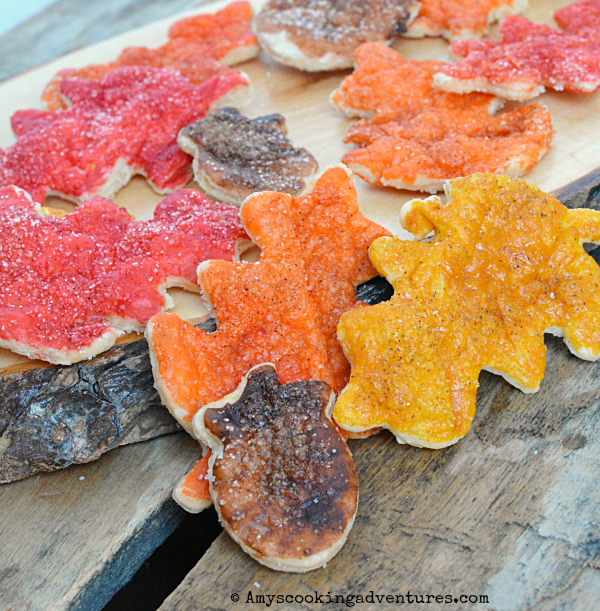 Fall Leaf Pie Crust Cookies are so easy & delicious! Perfect for Thanksgiving! Preheat oven to 350 degrees F and line a baking sheet with parchment or silicon baking mats.Roll the pie crust thin and cut it into leaf shapes.Mix gel food coloring with milk (about 1 teaspoon per color) and paint it on the uncooked dough. Sprinkle with cinnamon-sugar. Bake in the preheated oven for 12 minutes or until crisp. Cool slightly before eating.